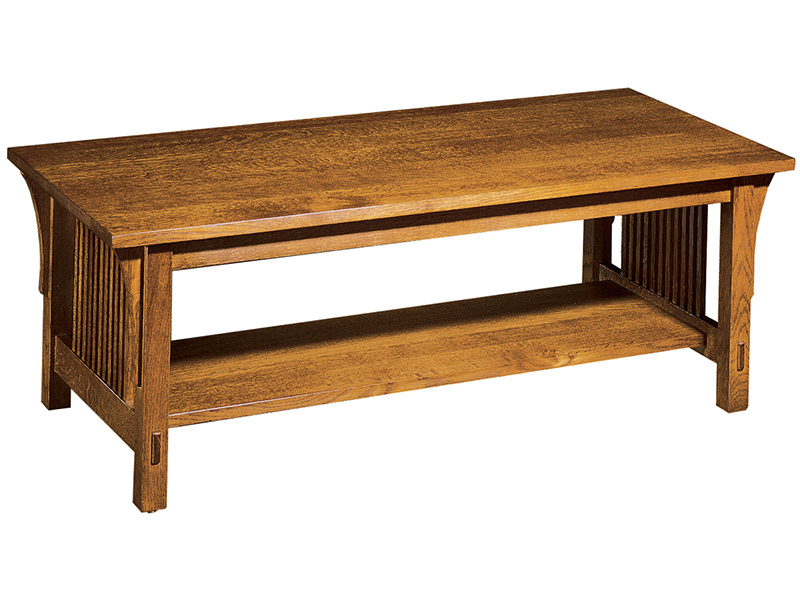 A Mission cocktail table with spindle sides, a fixed lower shelf and elongated corbelled arches that support a solid, sturdy surface. This piece is part of the original April 1989 reissued Mission Collection. Available in solid oak or cherry.